4) Activate option "Use passive mode for transfers"
If you saved session all you need to do is select the Server Type option FTPES. If you create a new account select FTPES on Server Type section. USE PORT 21! 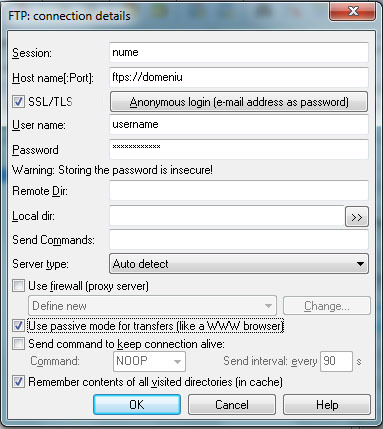 To use FTP and File Encryption protocol TLS Explicit. Enable Passive Mode in Connection menu. 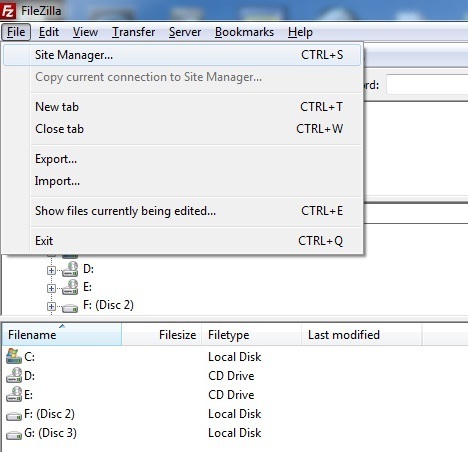 Note: If your FTP client is not listed in this section look in the documentation of your ftp client on how to enable this option. Usually it is enough if you use the address / host to connect as: ftpes://mydommain.ro or ftpes://IP, or Explicit TLS or TLS auth. Connection port is 21!